Is the stickney mansion in Bullvalley, Illinois haunted. 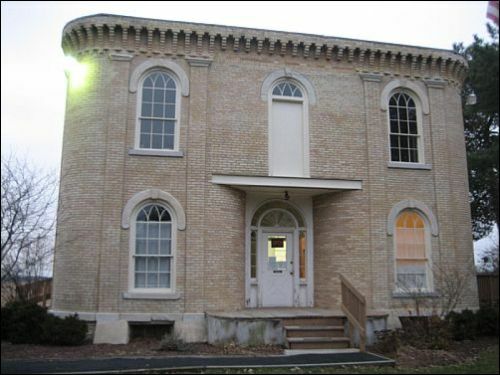 The stickney mansion was built in 1836 by George and Sylvia Stickney, The mansion building is known for its rounded corners which were specific parts of the structural design and were due to the owners of the properties spiritual beliefs. George and Sylvia Stickney were followers of a form of Spiritualism which believed that evil spirits could be trapped in square corners or even be attracted to them with catastrophic consequences. However both Mr and Mrs Stickney officiated as mediums at séances attended by socialites who would travel from Chicago and other cities to the isolated mansion for sessions with the dead. Since 1985 the Bull valley police department have occupied the mansion and it remains the local police station to this day. Ironically, the most commonly experienced ghost at this location is that of George stickney himself. He died in one of the upstairs rooms that was one of the only ones in the house that had corners. His apparition can be seen roaming the corridors of the property, also, some sources claim that one of the stickneys children hung them self in one of the upstairs rooms. Common reports at this location include hearing whispers coming from the other side of closed door's when no one is there, foot steps from unidentified sources and on several occasions, a woman in a wedding gown has been captured peering around a curtain in one of the upstairs rooms, who she is however remains a mystery.